With three full turkey dinners this weekend, I think I need a break from turkey - but for those of you out there still craving the meat, I am going to share how to make a turkey stock which in turn will make you the most delicious turkey & rice soup. 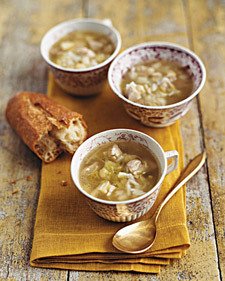 This turkey and rice soup is a bit different from the classic soup with carrots and celery etc. This one uses all the fall root vegetables such as parsnip, celery root, sweet potato, butternut squash... Instead of using the typical white rice, I suggest switching it up a bit with your grains, try using barley! Barley has a sort of nuttiness to it that will compliment the root vegetables really nicely. In this recipe, a leek is used instead of an onion. Turkey & leeks are a match made in heaven, and this recipe is really warming and delicious. Enjoy with a toasted piece of crusty fresh bread! The first thing is to make turkey stock! 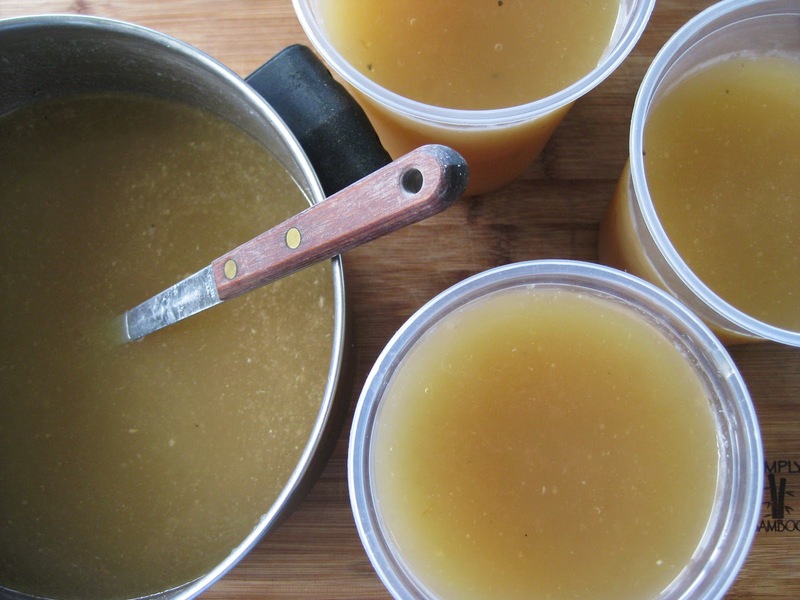 Similar to that of chicken, this stock will give you a rich bold poultry flavour, and is perfect for making soups. I won't lie to you, stock does take a while, so this would be best to start in the morning, or the minute you are home from work! 2. Add the browned bones and vegetables to a stock pot and fill with water so that all the ingredients are submerged. Add in your seasonings. 4. Once it has started to boil, reduce to a simmer and let cook for 3-4 hours, making sure to skim off the scum from the top. 5. Once the stock is done, it is best to strain through cheesecloth. You can use immediately or freeze the stock up to 3 months. 1. In a soup pot, heat up the butter, and add in the leak. Cook out until fragrant and translucent. 2. Add in the parnsip, and celery root and cook for 2-3 minutes. 3. Add in the turkey stock and cook for 5-10 minutes until the vegetables are tender. 4. Now add the turkey and rice, and let cook until the two have heated through.